It is only with your support that some of Australia's most talented athletes make it to the Paralympic Games. Support our Paralympians on the long road to the Tokyo 2020 Paralympic Games and share in the joy of realising dreams. $25.00 can contribute to the hire of training facilities for athletes who are aiming to represent Australia at the Tokyo 2020 Paralympic Games. $50.00 can contribute to physiotherapy to assist athlete recovery before and after training and competition at the Tokyo 2020 Paralympic Games. $100.00 can purchase one competition race suit for an athlete competing at the Tokyo 2020 Paralympic Games. $200.00 can help provide one day of medical support for an athlete who requires full-time care to perform daily tasks outside of competition at the Tokyo 2020 Paralympic Games. $500.00 can contribute to specialist nutritional support to ensure athletes are in peak physical condition for the Tokyo 2020 Paralympic Games. $1000.00 can help athletes to get classified, which allows them to compete in Para-sport against athletes with similar impairments. $1500.00 can contribute to the cost of travel between Australia and Tokyo for one Paralympic athlete. * Donations of $2.00 or more are tax-deductible. 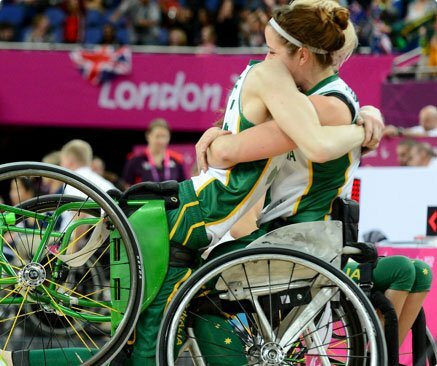 Every gift you give to Paralympics Australia will go towards helping to ensure our Paralympians have the best chance of winning gold at the Paralympic Games. You will receive your tax-deductible receipt in the mail. When you give to Paralympics Australia, your support helps to change the lives of some of Australia’s most promising athletes. It helps to level the playing field and gives our Paralympians the best chance of winning gold at the Paralympic Games. Your gift also supports equality in sport, promotes inclusion and empowers Australian Para-athletes to achieve their Paralympic dreams.